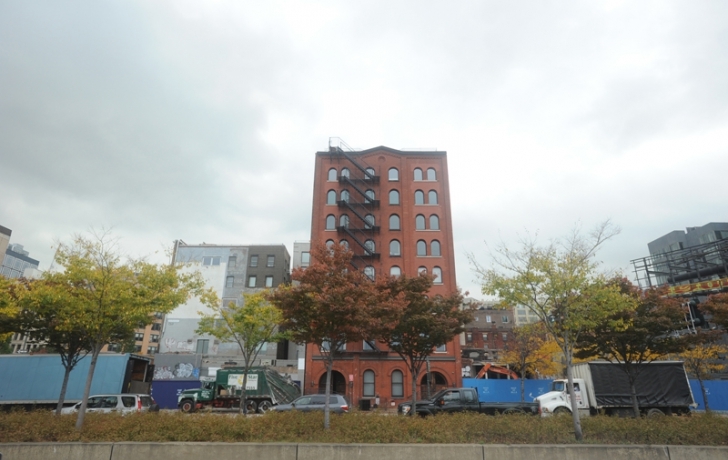 Above: the only remaining warehouse building on the lower West Side of Manhattan. Either this building, or an adjacent one, now demolished, is the Tower warehouse where my great-grandfather was murdered. I found him just in time. He was on the verge of being lost forever. His grandchildren were all dead expect for my father, who is ten years younger than his closest sibling. When I remembered him, his memory was nearly erased by the corrosive elements of time, alcoholism, madness, and the compulsory forgetfulness that is often a necessary balm in chaotic families. He was lost because we wanted him lost. He had become effaced, and was about to move into the total shade of forgetfulness. “Yes, it was,” I answered. When he said the name, somewhere in my mind, a light flared. That I remembered. We are Maroneys now, but were once Moroneys – a slight change, a baffling, minor alteration. Regardless, I now had a name: William Moroney. The name was recalled with hazy imprecision and there was not much to my great-grandfather beyond those letters. Still, I was not completely disarmed. I had some stories told by my long-gone uncle. I needed to tie them to outside sources – something far firmer than tales I remember being unraveled some thirty years ago at a dinner table. I did not know what, if anything, I could find about the myth of William Moroney. The Maroney family never really habituated to America. My father’s siblings spun about like tops, inhabiting a no-man’s land where they enacted all the shambling scenes in their lives. Their blunders, I suspected, had their origin in a terrible misfortune, and from that seed, the tangled vines of their mistakes suffocated their healthy growth. They were brought up in poverty in the 1930s, 40s, and 50s – and only in the 60s did they begin to transcend that world, at least financially. “You know,” said my uncle, my father’s brother, on more than one occasion “my grandfather – your great-grandfather – was murdered.” He provided rough details: William was a foreman in a warehouse, and his own workers killed him. He had a reputation for cruelty, and his workers struck him over the head, and he was not discovered until the next day. His murderer or murderers were never caught. When my father disinterred the name, William Moroney, I asked him about the family murder myth. He did indeed. And with my uncle as the only source - the murder of William Moroney remained a family rumor with one source. Yet to say it did not happen, to merely impute it to my uncle’s overactive imagination, did nothing to prove or disprove anything. Why would lie about such a horrid event? What kind of motive would he have? Regardless, only he spoke about it. The truth seemed forgotten even repressed – and for good reason. This murder, if real, was the foundation upon which our family grew. Start from the known, and move toward the unknown. I had a stock of family memories, barely remembered, a nearly forgotten name, and the bare outline of a story: a blow to the head, and William Moroney left for dead in a warehouse. The murder, if it indeed occurred, needed to exist above the chaos of our family’s ghostly ruminations, and be pinned down to a hard, objective links: documents on public record. I had a nagging need for a piece of paper in my hand – something on record in a municipal office in the City of New York, authenticating the murder of our patriarch. Maybe the family disarray, the uncanny sense of things gone wrong, of things always wrong, would have a starting point – and with a starting point, I hoped to find, if not an explanation, at least the footing from which all of what we built had tottered and fell. Listed is Catherine Maroney, 54, occupation: cleaning woman. Address: 163 Varick Street, New York, NY. Children: William Maroney, shipping clerk in a dry goods store, 19. John Maroney, a wagon helper, 18. David Maroney, filing in an office, 15. My father knew about William Maroney, and had even met him on occasion, even though Uncle Bill was not on great terms with my his father, David (was anyone?). But he had no memory of an Uncle John. And I had never heard of Uncle John. He was absent from the family narrative. My grandfather, David Maroney, did not have the gift of fostering family cohesion, but could my father have an uncle he had near heard of? Uncle John may have never been mentioned for many reasons. He may have fled the madness that was the Varick Street apartment and been promptly forgotten. Or he very well may have died, from violence, drink, illness, or some combination, and no one wished to tell his story. There is no definite trace of John Maroney after the 1920 census. He just ceases to exist. Listed is Kate Moroney, 38, widower, occupation: office cleaning. 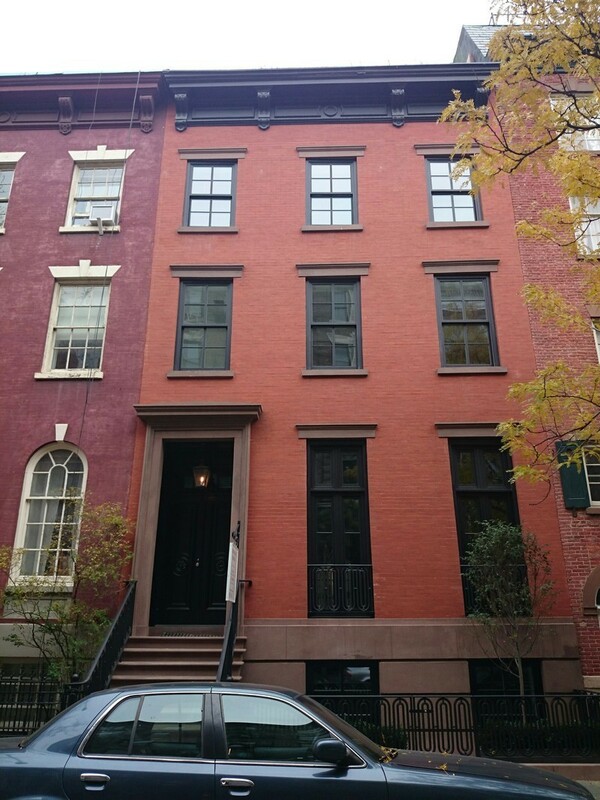 Address: 50 Dominck Street, New York, NY. Children: James Moroney, 17. William Moroney, 10. John Moroney, 8. David Maroney, 6. Now is the switch from Maroney to Moroney! What happened from 1920 to 1910? Did they change their surname? Was it accidentally changed by the overworked census taker? There is no way to know. The surnames Maroney and Moroney, as explained below, are linked, so any permutation is possible. This census also casts confusion on the age of my great-grandmother. At 38, she is out of chronology. What does this mean? Either these are different Moroneys, or the census takers were careless in noting her age. But except for this, the two censuses match. William Moroney is 10. The shadowy John Moroney is 8, and my grandfather, David Maroney, is 6. Tellingly, Catherine is still listed as a widower, and her occupation is cleaning. She is called “Kate,” most likely her nickname. Is this significant? It is hard to know, but it may imply some drop in status. Catherine is now Kate, the Irish cleaning woman. The 1910 Census also lists a James Moroney, 17 years old. 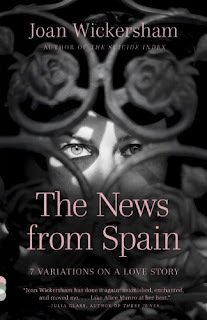 He seems to be yet another family mystery, yet he conforms to yet another legend I suddenly remembered, a side show to the life and death of William Moroney and stored in the long, retreating shadow of family memory. This is explained below. Listed is Catherine Moroney, 32, occupation, housewife. Husband, William Moroney, 30 years old, occupation, laborer. 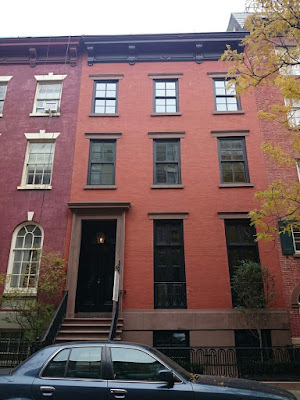 Residence: 522 Broome Street, New York, NY. Children: William Moroney, two months old. James Palmer, 8 years old. Catherine Barry, servant. . Here rises my great-grandfather, William Moroney, in a federal document. He is married to Catherine Moroney, the same woman from the 1910 and 1920 census (yet there is still a disparity in her age… oddly, as if she is always too old or too young for the time reported). But the rest fits. William Moroney – Uncle Bill – is two months old. The presence of James Palmer, who is called James Moroney in the 1910 census, confirms the side show family legend: Catherine Moroney was married before William Moroney. According to stories told by my uncle, his grandmother had married a man of means, and had a son, James Palmer. Then, the moneyed Palmer died. Why she married William Moroney – who was poor, shanty Irish by every definition of this term – is a mystery. But the live-in servant, Catherine Barry, is a clue to Catherine’s former affluence. Did Palmer leave her money to hire a servant? If so, it is a unhappy irony that ten years later, Catherine herself would become Kate Moroney, office cleaner, servant. The trajectory of Catherine Maroney/Moroney’s tale hints at some kind of plunge that transformed her from a woman of some affluence to a servant widow. Catherine Moroney is a widower in 1920 and 1910. 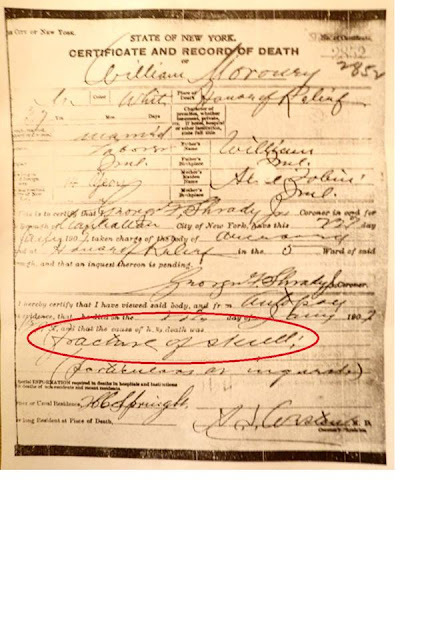 So sometime after 1900 and before 1910, William Moroney appears and disappears from the census. Since there is no reason to think that my grand-father David was illegitimate, we can estimate the time of William Moroney’s death. David Moroney was 5 in 1910, which means that my great-grandfather could not have died earlier than 1905. With these documents, we can be certain that he did not die between 1900 and 1905. People are born, and they die. Many documents are generated between those events. There is no reason to think that William and Catherine Moroney filled out many forms, as the time did not demand such bureaucratic detail. But births and deaths generated paper even in 1907, and those documents formed the book ends of their existence (as they do ours), separating the thin sliver of light that is our life from the great darkness before our birth and the expanse of darkness after our death. So, that is how I moved forward. The City of New York’s online death index had three William Moroneys who could very well have been my great-grandfather. But two of the three suffered from a chronological problems, not quite fitting in to my narrative, leaving one William Moroney. Document Four: City of New York Certificate and Record of Death. Number of Certificate: 2852. 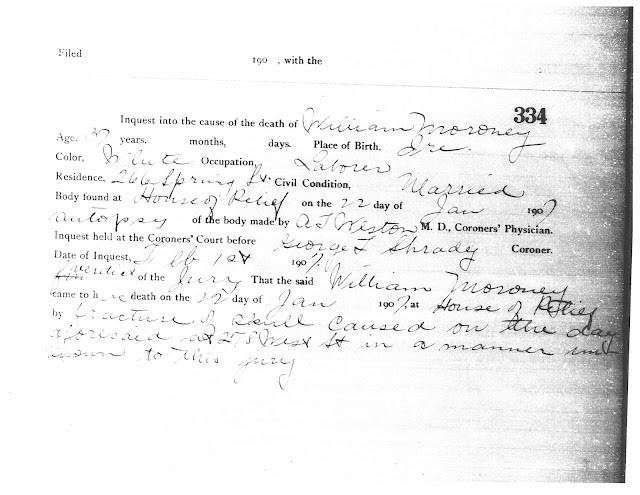 Death Certificate 2852 provides more information about the Moroney family than any other source. At the moment completed – probably a few feet where William Moroney lay on a slab in a coroner’s office – vital information about his birth, death, immigration status, and family history were recorded with a meticulousness that worsted my family’s faulty sense of recollection. This is to certify that first name illegible Shrady, Jr. Coroner in and for the borough of Manhattan, City of New York, have this 23rd day January 23 1907, taken charge of the body of William Moroney at the House of Relief in the 5th Ward of said borough, and that an inquest is pending. ­Illegible Shandry Coroner. I had found William Moroney, and had given life again by naming him, by pulling him back into the realm of memory. This was a type of birth. Death Certificate 2852 pronounced his definitive demise. But questions remain. Was he murdered, or was the fractured skull the result of an accident? The “particulars at inquest” need to be found. The City of New York does not have records of inquests for 1907. If it was a crime, as the family lore holds, then there is a police report somewhere in the bowels of an archive in New York City. But New York Police files are not open for genealogical research – even those dated from 1907! Unless there was an arrest, with a suspect or suspects appearing before a court, necessitating the production of documents for public examination, the investigation of the death of William Moroney stalls. But there are also wider narratives than arrests, imprisonment, and trials. So I sifted through the low-end New York newspaper of 1907. 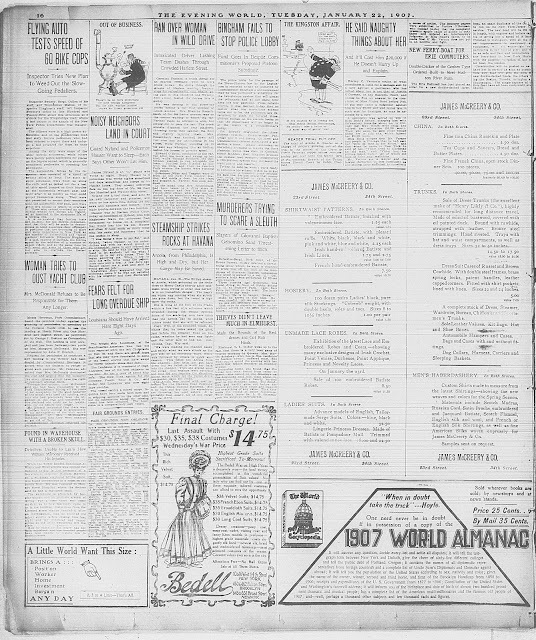 These are the turn of the century versions of the Daily News or the New York Post – the kind of paper that would print a short article about a dead Irishman found bludgeoned in a warehouse. Detectives Unable to Learn How William Marooney received His injuries. When the Tower bonded warehouse at Watts and West Streets was opened for business today in the presence of a Government inspector, William Marooney, a workman employed at the place, was found unconscious in a room on the fourth floor. He was removed to the Hudson Street Hospital, where doctors said he had a fractured skull. The warehouse is protected by burglar alarms and an intricate system of wiring. For a time there was a mystery as to how Marooney came to be in the building. Detectives from the Leonard street station concluded, after an investigation, that he received his injury shortly before closing time and lay unnoticed and unconscious as the other employees left the place. How he came by his injury has not been explained, and the hospital people have been unable to restore him to consciousness. The first problem is apparent. William Marooney may not be William Moroney. But he is likely one and the same. We saw the slippage from Moroney to Maroney. The explanation for this is simple: the name is an Anglicization of the Gaelic O' Maolruanaidh. Like most names transliterated into another language, variants of O' Maolruanaidh run the range: Maroney, Moroney, Marooney, Morooney, Mulroney. Either the police officers did not know that William Marooney was spelled William Moroney, or the reporter heard this Irish name and carelessly used a well-known variant. This is, of course, the penultimate piece of the family mystery. My great-grandfather was killed in a warehouse. He was left for dead and found the next day. The assault or accident occurred late in the day, as the warehouse was closing, and he was discovered the next morning. This is my uncle's exact story. At first, the news story explains, there is confusion as to why William Moroney is unconscious in the warehouse after hours. Then the police conclude that he “received his injury” just before closing time. The Evening World was, as its title suggests, an evening daily, so the story was most likely filed by early afternoon. So William Moroney was alive but unconscious on the morning of January 22nd 1907. The death certificate details that he was dead by the afternoon. The staff at The House of Relief would never bring him back to consciousness. William Moroney was hit on the head. 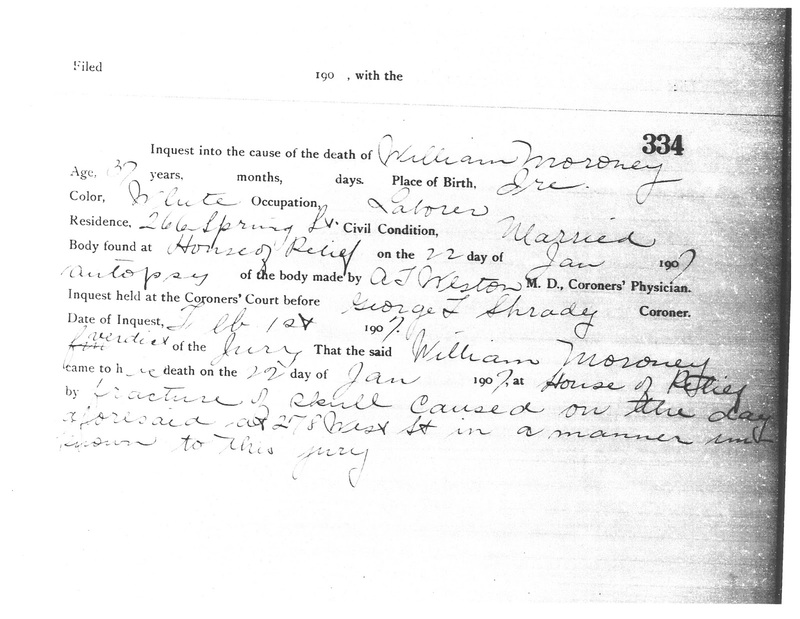 The coroner's report presented at the inquest on February 1, 1907 does not go into great detail. It reiterates the Death Certificate's biographical information, date of death, and cause of death. The fracture of the skull was caused "on the aforesaid day at 278 West St. in a manner unknown to this jury." The manner is unknown to the inquest jury. There is not enough evidence for a murder. Or the jury had no desire to press the matter forward. I will probably never know. There are ideas left behind; all unclaimed and unanswerable. What kind of man was William Moroney? Presumably, someone worthy of being assaulted on the head with a blunt object and left him for dead near closing time at the warehouse (not to blame the victim). The fourth floor room may have been out of the way of traffic, especially at quitting time. There is the strong trace of intention in this act. Someone wanted William to die where he was, how he was. If he was cruel, and his workers killed him, and I see no reason to discount this, he was a man of considerable temper. He most likely drank to excess. His grandson, my grandfather David, drank himself to death. His Irish-American world employed drink as a cure-all for any ailments – especially for the pain of grinding poverty, despair, displacement and disease. his son, my grandfather, David Maroney, would die of complications of alcoholism. So William Moroney was an uprooted, man, unschooled in any trade, who wandered from rural to urban poverty. Strangely, he married a woman above his station, but he quickly brought her fortunes down with his. Could this man, so cruel that he was hit over the head with a blunt instrument in a bonded warehouse at Watts and West Streets, have always left his brutality on the shop floor? My sense is no; he was cruel to his family. He drank his pay, berated his wife and children, beat them. Did his family even notice that he never came home the night of January 21st 1907? Or was that a common occurrence – the habit of an angry drunk. It appears that William, John, and David lived with a cruel father, who was so forbidding that he was a suitable candidate for murder. The family drifted apart, to the point where my great-uncle John Moroney vanished and was never mentioned, and Great-Uncle Bill was all but estranged from my grandfather David. In turn my grandfather David’s four children, my aunts and uncle, lived with the resounding echo of that murder – the drink and the madness, the poverty and ignorance, and the sense that all was wrong, and could never be right, and that America was not their home. They were not Irish and not truly yet American; they must have held a nagging half-memory of the generation before them who faced catastrophe and collapse and this, too, was their shared legacy. This sense was passed down to us, their progeny, mostly as a pulse beat in the background of life, but sometimes, that beat can hold a powerful and resounding sense that the world is tilted, off-kilter and resolution is always out of reach. For my generation, knowing the source of this broken beat may help to smooth the strange rhythm of my family – may fill the bare and obdurate spaces in which traumas of our previous generations have resonated through the years. And maybe uncovering this story can finally begin to bury the invisible insecurities created in the shadows of our lives, and to smooth the rhythm of the faltering family heart for those descendants of William Moroney who are sure to follow. 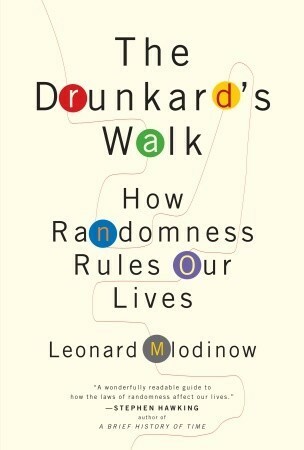 The Drunkard's Walk: How Randomness Rules Our Lives by American physicist and author Leonard Mlodinow is a particularly appealing book since it debunks so many specialists self-satisfied predictions. Mlodinow sets about to illustrate how the study of randomness, can show, for instance, that most financial planners over the course of their careers do no better than if someone had picked stocks randomly. He illustrates how our expectations of an orderly world cause us to impose order on random processes, a particularly dangerous thing when a doctor diagnoses a disease. Our expectations help perceived good students continue to get good grades, pick draft choices in football, and order wine with dinner. All this is good and well. Again, it feels satisfying to rub the noses of academic and professional gurus with the fact that over the long haul, their decisions are ruled by little more than a random outcomes. But this may not be enough. 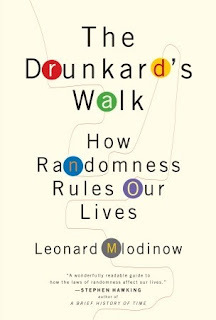 Critics have pointed out that the author makes key assumptions about the structure of occurring events and confuses basic distinctions between probability and randomness, among other topics. I am not qualified to say if this is so; but this does hearken back to an age old philosophical problem, from the pre-Socratic philosophers. Is the world ruled by random forces, or is it orderly and predicable? Can it, in some illogical way, be ruled by both? It seems we are no closer to getting a firm answer to this question even with this clever, well-written book. The News from Spain: Seven Variations on a Love Story by Joan Wickersham is an extremely bright, clever, and novel series of stories. Wickersham is able to tell compelling tales about real life human problems, while still maintaining a moderate level of narrative experimentation. She keeps readers guessing with unexpected twists and turns of both plot and character development. Simply put, she writes strong, vivid stories. Reading this collection heartened me that there are still people out there adding to the stature and range of the short story form. The Jamestown Experiment: The Remarkable Story of the Enterprising Colony and the Unexpected Results That Shaped America, by Tony Williams, is a generally solid book, telling the story both of attempts by the English to settle North America (unsuccessfully) before the colony was founded and Jamestown itself. Jamestown is a compelling story - and therefore hard to screw up. What shines through in this work is Williams obvious agenda. He ties the success of the colony to free-enterprise, freedom of religion and association – all ideals that would be a part of the founding of the United States. He denigrates the early years of the colony, when it was ruled by un-elected overlords who did not respect private property or enterprise. The problem with this view is that early Jamestown required a dictatorial hand to prevent it from collapsing. So, there are not two ideologies at war here, but one by in place by necessity in the struggling years of the colony, and the other by luxury of its more prosperous times. 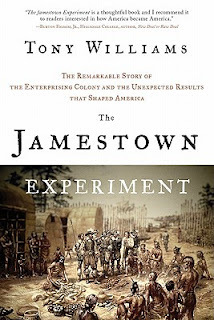 I can only imagine that Williams’ connection to The Bill of Rights Institute and other such organizations provides him with this neat, not entirely accurate depiction of the early days of English settlement in America. 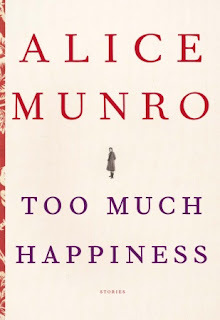 Too Much Happiness, by Alice Munro, is a surprising collection of short stories. Munro has the unique ability to take an everyday situation and impart a strangeness to it. "Wenlock Edge" is one of the more obvious examples. In this story, the young female protagonist appears to inhabit our world, until she gets involved with experiences at the very margin of the normal. 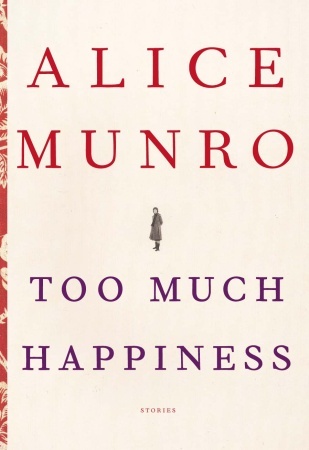 And her reactions to her situation are telling, and reveal what Munro thinks about human behavior and our reactions to the liminal. These stories are gripping, compelling, and have the force of necessity. This is high praise for art: the feeling that it must be written; that it is good that it has been written. 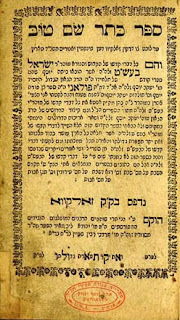 Keser Baal Shem Tov, the Crown of the Baal Shem Tov, is a collection of stories and teachings from founder of Chassidism, Rabbi Israel Baal Shem Tov. The Baal Shem Tov did not write his teachings; he amassed followers, most of whom would found Hasidic dynasties which continue to exist today. 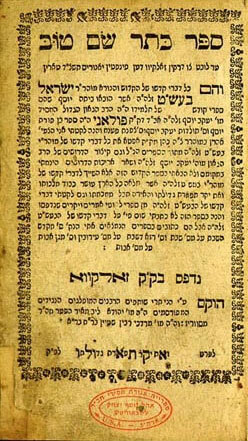 This collection was published thirty years after the death of the Baal Shem Tov. So, no doubt the work was preserved orally, or written down in different sources until complied into this volume. Really, I know nothing of its history of its composition, which, no doubt, is probably fascinating. If you are someone like me, and you have read a great many Hasidic works, it is a revelation to sit and read the Keter, seeing such well-known stories and teaching in one place and in their origin context. It is the closest we can get to the Baal Shem Tov himself. 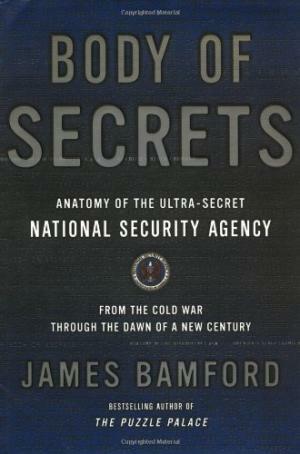 Body of Secrets: Anatomy of the Ultra-Secret National Security Agency by James Bamford is an extremely detailed historical analysis of the NSA, from its origins just after the Second World War, to the time period of the late 1990s. This book is perhaps too detailed for someone who wants an overview of the history of the NSA. Bamford presents an entire chapter on the Israeli attack on the USS Liberty, for instance. This, in itself, could be the subject of an entire book. Also, Bamford treats, again in great detail, the NSA's failings to keep up with the expansion of technologies in the late 90s, including the rise of the internet and emails. He presents these subjects as if they are ongoing (as the book was written at that time), when we all know that the NSA now has a firm grasp on this type of surveillance, and has had so for many years. So, the book sounds out of date in these sections. 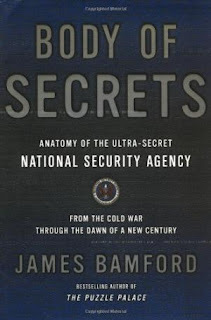 So, although there are odd parts of Bamford’s book, it still holds the attention of the reader with an average interest in the NSA; it is certainly an education in the topic.